Take 5 capsules 30 minutes before training. With the new possibilities of using creatine, it is recommend to enrich the supplementation with protein or BCAA, which accelerates the muscle growth and regeneration. It's worth remembering that creatine is absorbed better when it is combined with higher levels of insulin in blood (for example after a carbohydrate-rich meal). 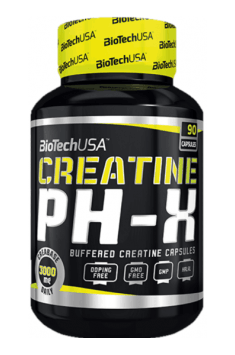 People with kidney disease should consult the creatine supplementation with a doctor as this product retains water in the body and can strain the kidneys.